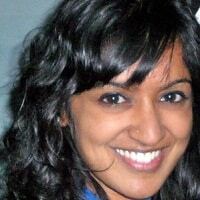 Priya Iyer is the founder and CEO of TulaLens. She has worked in the international development space across organizations in several sectors including MIT’s Abdul Latif Jameel Poverty Action Lab, Futures Group, a development consulting firm, and the Ministry of Health in Guyana. She earned a master’s degree in public health from Columbia Universtiy and a bachelor’s from New York University. You can connect with her @priyabiyer and learn more about TulaLens @tulalens. The founder and CEO of TulaLens says a recent pilot project shows that choice exists in urban low-income settings, and crowdsourcing information can potentially be a powerful tool in these communities. The next issue for TulaLens is how to expand its reach.